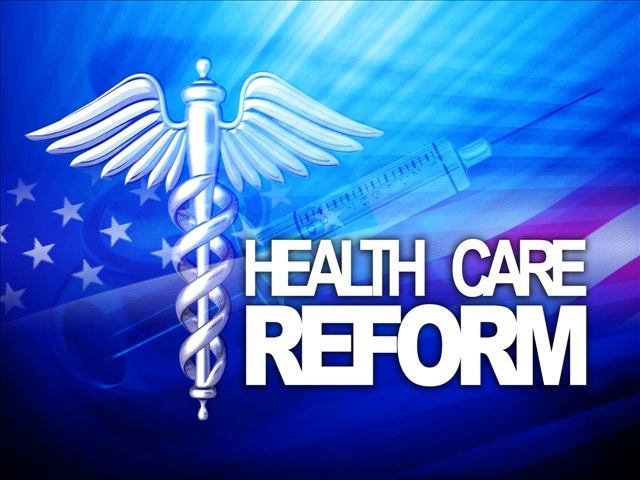 The Patient Protection and Affordable Care Act passed in 2010 is starting to be implemented. A thousand pages of legislation have now had over 20,000 pages of regulations added and it is just getting started. How is anyone supposed to keep up on the changes, and stay compliant and ahead of the curve? Enter the Valley Schools Employee Benefits Trust (VSEBT) and their preferred provider for consultation, Aon/Hewitt, the largest benefits consultant in the world. Together, VSEBT and Aon are providing up to the minute updates to all VSEBT members on the changes and what they mean for them. This guide is one of many that VSEBT and Aon not only provide, but also go over in detail with their members and assist them in step-by-step compliance with a timeline and guide to insure their members are fully prepared to implement the necessary changes. As health care regulation changes rapidly, make sure your benefits provider is on top of the changes and keeps you informed and compliant. Avocado is nature’s butter. You can spread it on whole grain toast at breakfast and enjoy its creamy goodness knowing that per tablespoon it packs 3/4 fewer calories. And while butter is loaded with saturated fat, avocados contain heart healthy MUFAs (monounsaturated fats), vitamin E (a major anti-aging antioxidant), and potassium, a key nutrient for heart function and muscle contractions that acts as a natural diuretic (aka major de-bloater). This switch results in half the calories for double the amount (two tbsp rather than one) and because it’s made from beans and garlic, it boosts your intake of protein, minerals and antioxidants. It’s awesome on anything from an open faced sandwich or wrap to the dressing for chilled potato salad (try it — it’s yummy). You’ll save at least 60 calories per 1/4 cup (size of a golf ball) and bonus: vinegar has been shown to control blood sugar and curb fat gain. One study found that people who consumed a tablespoon of vinegar before lunch and dinner lost an average of two pounds over four weeks — without making any other changes — and they felt more satiated. When you slather ketchup on your turkey burger you might not think of it as a sweet sauce, but each tablespoon packs about a teaspoon of refined sugar. Kick up the flavor with mustard instead for about 1/3 the calories and same type of cancer fighting antioxidants found in broccoli and cabbage. Cynthia Sass is a registered dietitian with master’s degrees in both nutrition science and public health. Frequently seen on national TV she’s a SHAPE contributing editor and nutrition consultant to the New York Rangers and Tampa Bay Rays. Her latest New York Times best seller is Cinch! Conquer Cravings, Drop Pounds and Lose Inches. The bee, feared for its nasty sting, comes as an unwelcome visitor in our gardens. People often scamper away when they see the buzzing insect approach their direction. Scary as the bee is, it brings a product enjoyed for its sweet natural taste and its number of alternative uses – honey. As a practical soul, you can make your domestic life a bit more convenient with such a useful item. Purchase a jar of honey and discover all of its benefits. Honey, aside from being a tasty snack, can be used for a variety of home and health-related applications. With its natural formulation, it is used as a treatment for some illnesses and a vitamin supplement. It is also known to moisturize and disinfect the skin, making it an unconventional moisturizer, antiseptic and antibacterial solution. For years, vegans have used honey to promote good health. Now it’s your turn to reap the rewards in using the bee’s healthy byproduct. Here are 15 unconventional uses for honey. Skin Moisturizer – Honey, when mixed with eggs and some flour, is an effective skin moisturizer. Best of all, it is gently formulated, so it can be used by people with sensitive skin. Mix four tablespoons of honey with a couple of egg whites and a few tablespoons of flour, depending on your desired consistency. Stir the mixture until it thickens. When the mixture is ready, you can use it as a hand and body lotion or a moisturizing face mask, eliminating the effects of dry skin. Antiseptic – Hydrogen peroxide is a chemical used for cleaning wounds and helping them heal quickly. Honey happens to contain a good amount of the chemical. It only needs to be released by diluting the substance in water or body fluids. When applied on an open wound, the glucose, contained by honey, is diluted and gradually releases hydrogen peroxide. The substance facilitates your wound’s faster healing. Due to its viscous consistency, it also prevents wounds from sticking to the dressing and the appearance of scars. Acne Remover – Honey might be a gentle skin moisturizer but it is certainly tough on acne. With constant exposure to the bee fluid, pimples eventually wither and fade. Apply a small amount of honey on the pimply regions of your face. Cover them with adhesive bandages. Soon, your zit attack will be nothing more than a distant memory. Energy Booster – Why buy palpitation-inducing energy drinks when you already have honey? Mix honey with some water then drink the solution. Honey’s glucose content will be absorbed by the brain and in the bloodstream, reducing fatigue in the process. You’ll be healthy and quite happy just by consuming the simple solution. Immune System Booster – Health buffs are known to drink a teaspoon of honey daily, along with their morning vitamins. Though still not scientifically proven, the daily consumption of honey is said to strengthen your immune system. You can give it a shot, you’ve got nothing to lose anyway. Improves Blood Flow – Honey, being rich in glucose, is known to improve the blood flow through the fortification of blood’s formation. Glucose provides energy in the bloodstream, which is distributed throughout the body. As a result, the blood produced has the proper consistency, flowing smoothly through the blood vessels. Glucose is believed to prevent capillary damage due to its ability to improve your blood flow. Treatment for Sore Throat – Some people believe that honey is an even better treatment for coughs and colds than over-the-counter medicine. To create the sore throat-relieving serum, squeeze the juice from a lemon and mix it with some honey. Stir the mixture until both ingredients blend. Drink the solution. After a few moments, you will realize that your sore throat has been cured, or at least reduced. Just continue to make more rounds until you are finally free from colds. Colon Damage Prevention – Colitis, a disease that damages the colon, induces much discomfort for the afflicted. You can minimize the effects of the disease if you drink some honey daily. The antioxidants found in honey is said to strengthen and improve the resistance of the colon. In addition, it is used in folk medicine as a means for curing colon-related conditions. Remedy for Burns – A burn is not only painful, the marks also last for a good number of days before healing up. By applying honey on your burn, the hydrogen peroxide released cleans the wound and soothes the inflammation. As a result, the burn marks will heal in a few days with less pain. Use honey as a dressing for maximum results. Antibacterial Solution – Bacteria and germs won’t survive when covered in honey, given its acidic pH balance and viscous base. The microorganisms will be trapped in the sticky acidic base, which is too abrasive for their exteriors, killing them off eventually. Apply honey on a wound, scratches or an inflamed region, in conjunction with an antiseptic. You’ll be astounded at how fast your injury heals after. Relaxant for Anxiety and Nervousness – Anxiety and nervousness are the enemies of a healthy mind. Once both conditions swarm your thoughts, your actions are tantamount to produce negative results. Free yourself from any of the two states of mind by eating porridge mixed with honey. Honey’s nutrients produce a calming effect, especially when taken in significant amounts. No wonder some consider it a part of the breakfast of champions. Honey can also be mixed with a suitable beverage for a good night’s sleep. Cancer and Heart Disease Prevention – Heart disease and cancer are diseases that have claimed the lives of millions of people. Both conditions have a multitude of causes, some of which are hard to identify. You must have some sort of protection from these diseases and that protection comes in the form of honey. Honey’s antioxidants prevent the formation of cancer cells and preserve the quality of the produced blood, preventing heart disease in the process. Though, engaging in acts that promote cancer, such as smoking and excessive drinking, will still trigger the diseases, so be watchful. Diabetic Ulcer Remedy – Curing ulcer entirely is largely done by modern medical techniques. Though, you can speed up the healing process if you use honey as a topical solution. It’s ability to heal wounds will certainly come in handy when other ointments are not advised to use. Honey is a medical resource used before modern medicine became established. It may not replace many of the technological methods currently practiced in hospitals, but it can certainly match some of the medicine prescribed by physicians. The bee fluid, as it turns out, is a miracle drug that cures quite a number of ailments and diseases. Use it and get good health for a fairly low price. After learning the many benefits you can get from honey, you should culture bees to get honey from it for free, learn how to keep bees. Remember, honey takes its flavor from the flowers and plants from which the bees get their pollen. If you are allergic to that pollen, you may have a reaction to particular honey. The Town of Queen Creek held its Annual Health & Wellness Benefits Fair. The fair was held on Wednesday, May 22nd from 8 am until 12 noon, at the Town’s Council Chambers. There were over thirty professional health and employee benefits vendors in attendance. The vendors were on hand to answer employee questions on their benefit selections for the new plan year. In addition, a wealth of information on wellness and healthy living was provided. This is one of many efforts by the Town of Queen Creek to educate its staff, their dependents and the community on healthy living. Through these wellness efforts, city services can be provided by healthier, more efficient employees at a lower cost. Healthier living means lower premiums on benefit costs as well as a better life. Valley Schools Employee Benefits Trust (VSEBT), the administrator of the Town of Queen Creek’s employee benefits was in attendance as well and helped answer employee questions on the Town’s new ING products on term life insurance. This new offering will dramatically cut costs for the Town. The Town’s active wellness committee operated a few different booths, including a salsa competition and a “guess that herb” booth to help promote their employee managed organic herb garden on-site. Employees are encouraged to clip herbs to take home to cook with them for improving their diet. The Town also had free bio-metric screenings on-site, including blood glucose and bone density testing. Congratulations to the Town of Queen Creek for their ongoing health and wellness efforts! When you go from one task to the next–all day long–your mind constantly races to catch up. Hit the reset button with this underrated trick. “The average office worker changes windows [on her computer] 37 times an hour,” Headspace’s head of research Nick Begley says in a meditation tutorial. According to Begley, when your mind changes gears that rapidly, part of your brain is still engaged in the previous task and you don’t have all of the attention and resources necessary to concentrate on the current task. This slows down productivity and reduces your ability to filter relevant information from irrelevant information. When people get stressed, there is a part of the brain called the amygdala that fires up the “fight or flight” part of the nervous system that helps you make quick, impulsive decisions. “It signals to our hormonal system to secrete adrenaline and cortisol and increases our heart rate, respiration, and blood pressure, so we can escape this immediate physical danger,” says Begley. The problem arises when there is no immediate physical danger–when, say, you’ve forgotten to hit “save” on an important document and your computer crashes, or you arrive unprepared for an important business meeting. The “fight or flight” impulse is not actually helpful in those situations and merely puts undue stress on the body, Begley explains. United Healthcare (UHC) in their preferred provider status with the Valley Schools Employee Benefits Trust (VSEBT) is providing an online Bilingual Health Information Center Website. This is increasingly important in places like Arizona where language can be a serious barrier to proper treatment. 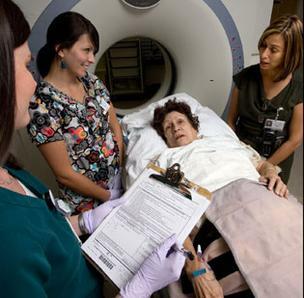 Speaking a second language is difficult enough, but many of the medical terms used are not picked up in daily life, leaving patients frustrated describing or understanding their conditions. Savings and better health outcomes result when patients are able to clearly communicate their symptoms, problems and any adverse treatment reactions. Congratulations to both organizations for taking this critical step to improve health care services to individuals in their own native language. As a reminder, one way UnitedHealthcare Latino Health Solutions has responded to the needs of Hispanics in utilizing mobile devices is by developing the Bilingual Health Information Center. The mobile website offers access to extensive and culturally relevant health and wellness information and resources when users enter m.uhclatino.com from a smartphone browser. Digital strategies, such as the use of mobile devices to increase Hispanics’ access to health information, are essential in assisting them to become empowered and educated health care consumers. This technological approach may lead to better health outcomes and help cultivate healthier lifestyles.